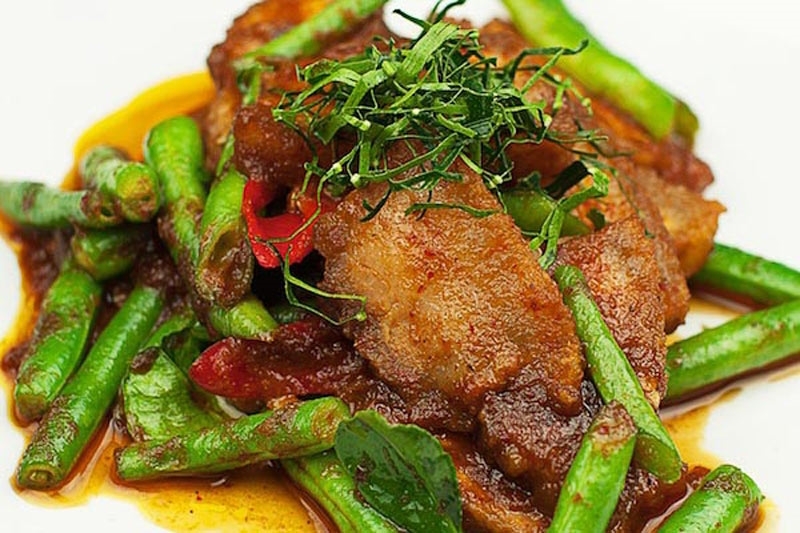 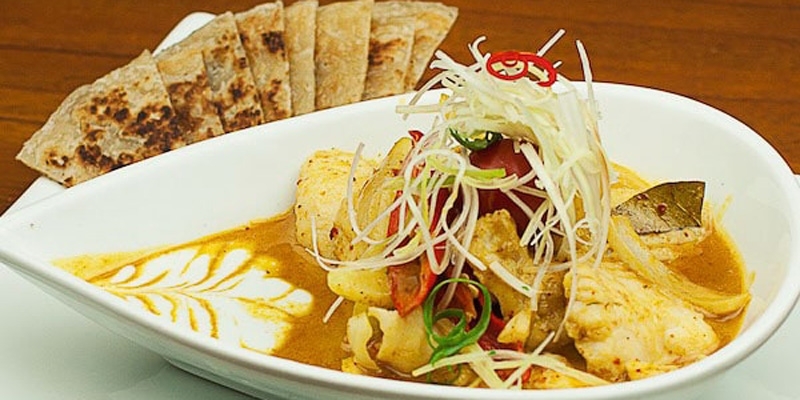 Choo Chee Pla: deep fried whole fish, served in spicy red curry sauce with creamy coconut milk. 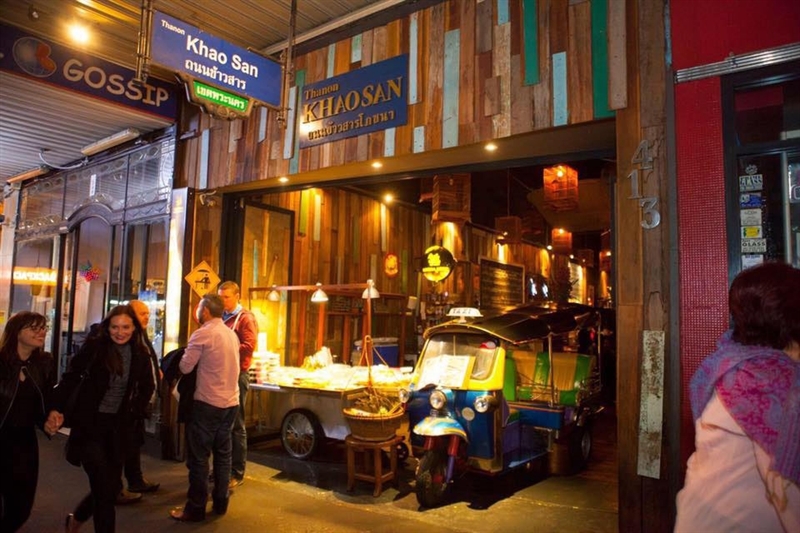 For Thai flavours and atmosphere that transcend the norm, take a tuk tuk to Thanon Khao San on Pitt Street in Sydney’s CBD. 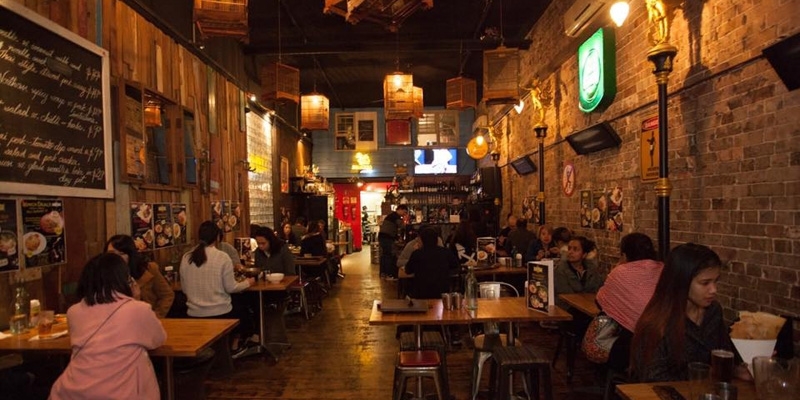 This long-standing city restaurant blends authentic décor with moody lantern lighting to create a welcoming ambiance of worn brick and polished concrete floors, complemented by the subtle aroma of spice wafting from the kitchen. 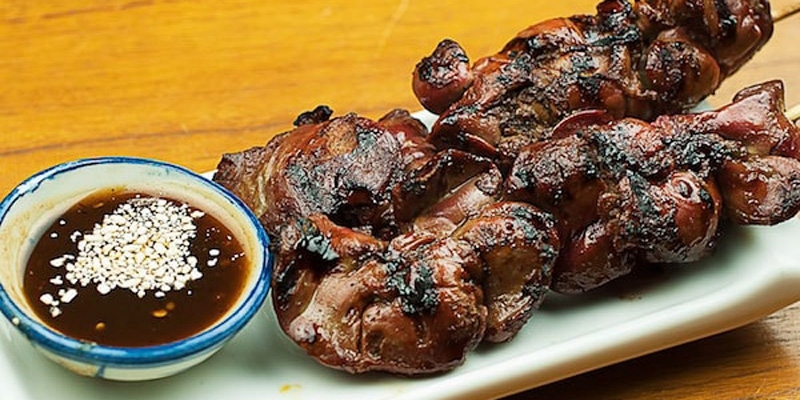 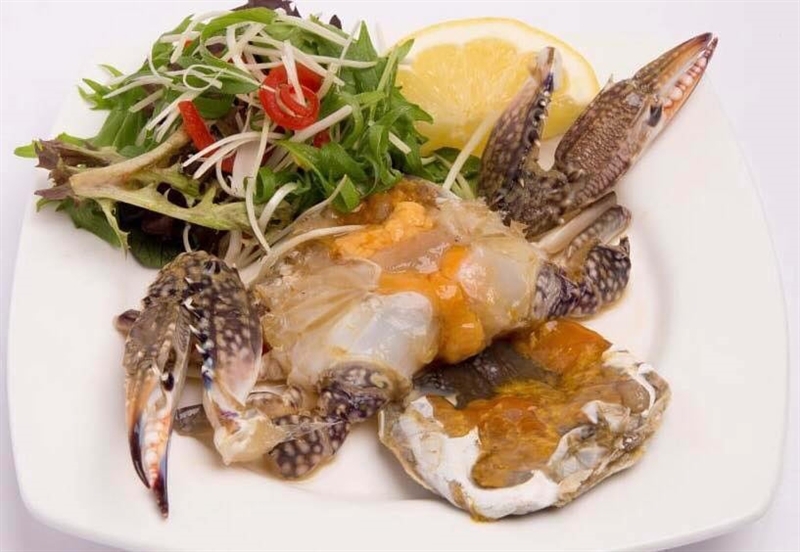 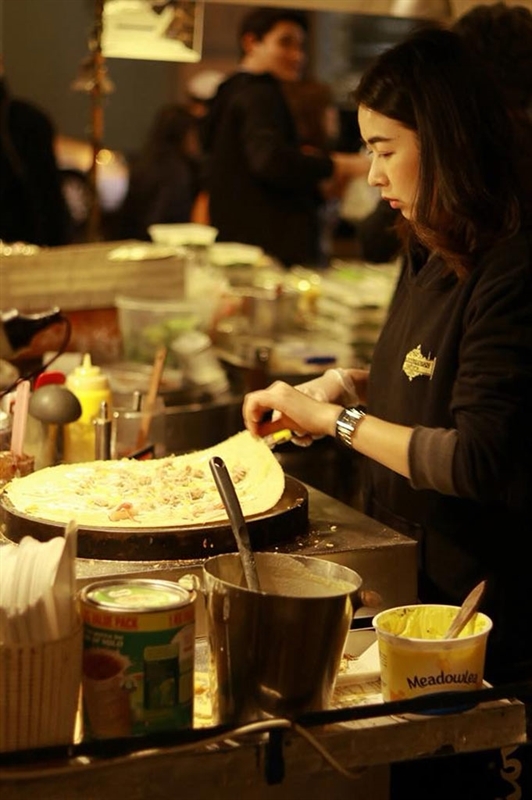 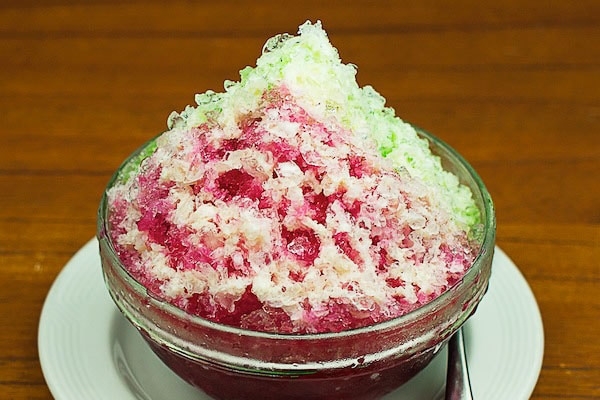 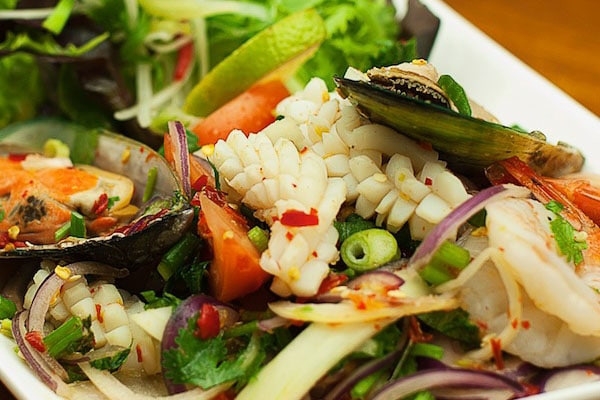 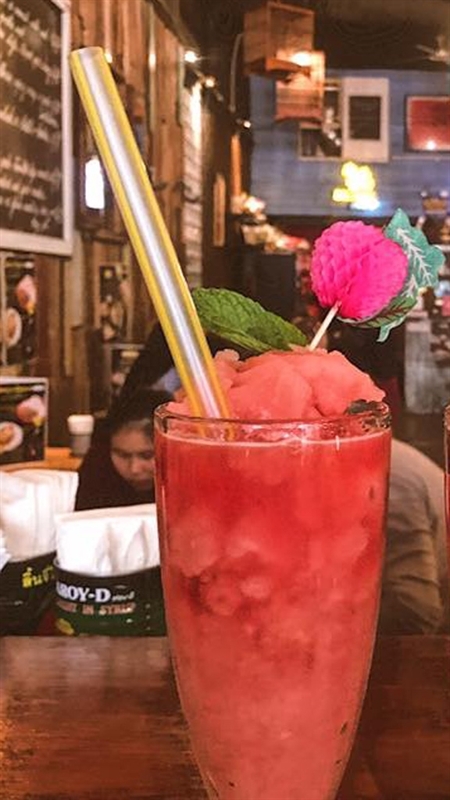 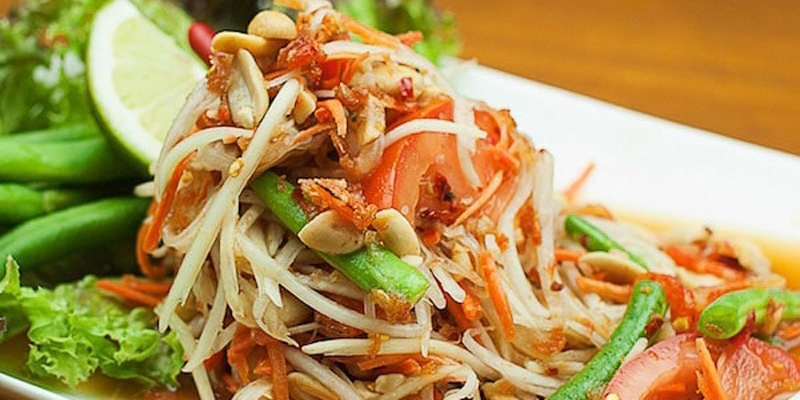 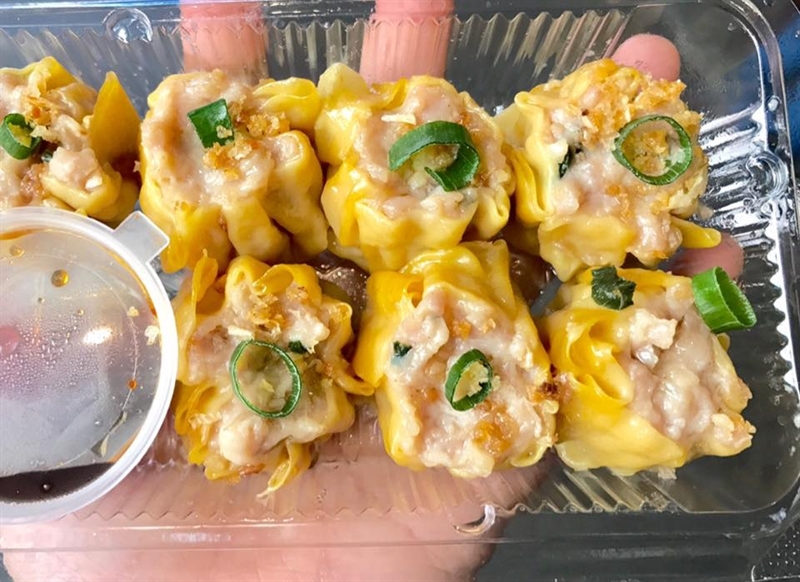 Diners are treated to an Asian culinary experience with classic and modern dishes on the menu, while those who are time poor can pick up a street food or dessert treat from a glass display cabinet. 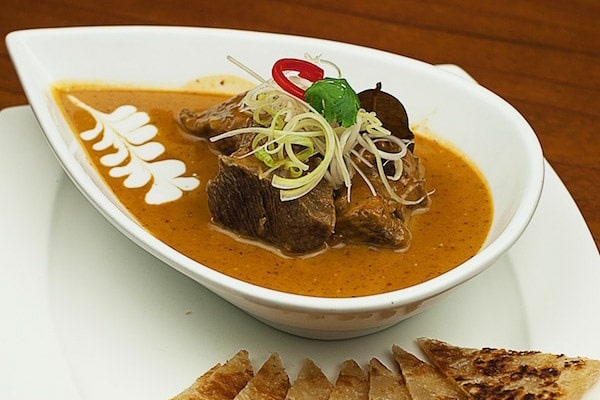 Take the bite off lingering hunger with a starter of deep fried tofu with sweet chilli sauce; before a Chef’s special of roasted duck glazed with plum sauce, served with stir fried vegetables, shiitake mushrooms, steamed rice and roti.